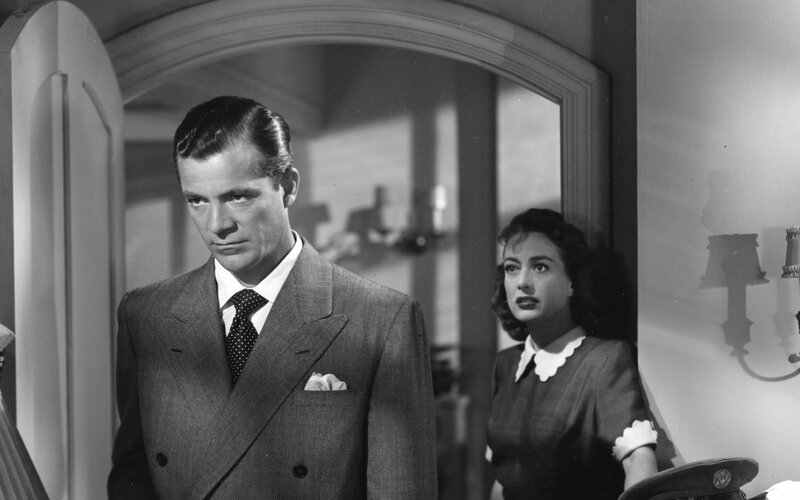 Seeing Dana Andrews name on any cast list catches my eye as I’m confident it does with many fans of “classic” films. 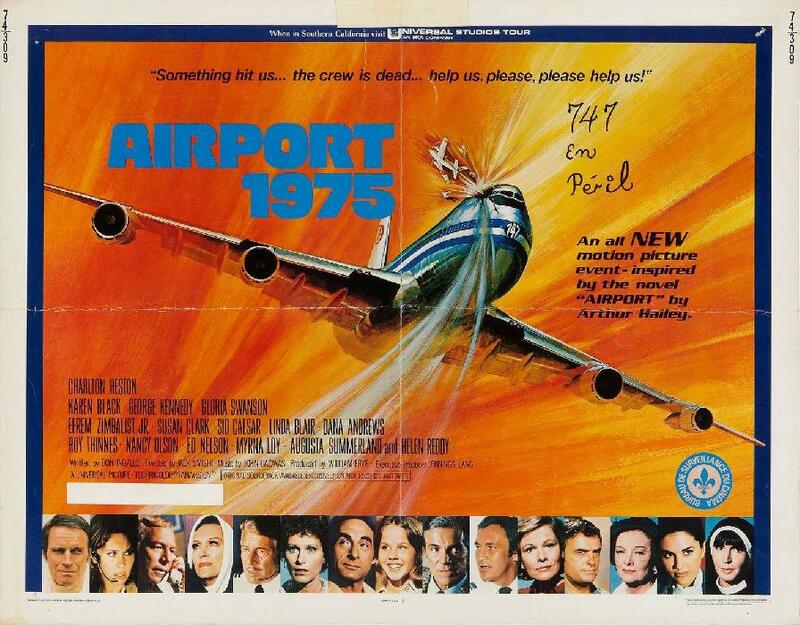 While I’m sure I didn’t know it at the time, the first film I saw him in is probably when I was a little tyke and our family went to see Airport ’75 at the movie theater. I just knew some old guy in a small plane (Andrews) crashes into a big jetliner that heroic Charlton Heston is going to have to land. Years later by my count I’ve seen 41 films with Dana and like many of you, The Best Years of Our Lives stands tall along with Laura and a handful of others. 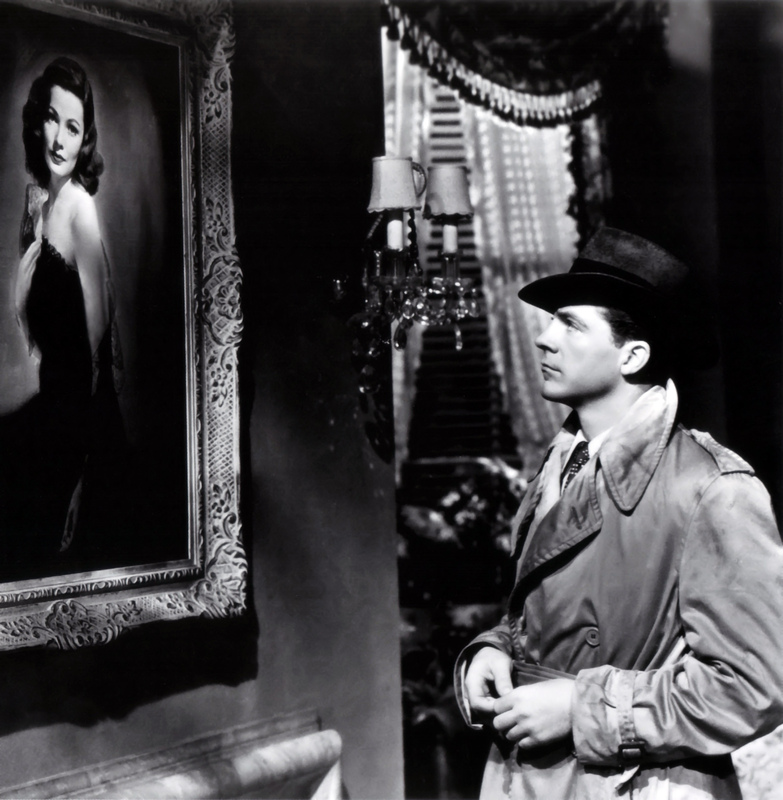 Self proclaimed film buff I pretend to be, Dana Andrews is one leading actor I really can’t say I knew much about other than the whispers and tattle tales that he was a drunk and had to be poured onto the set of many films he made in the latter portion of his career. While this may be true, it never seemed to show that way on screen. He generally came across as an actor of quality and a low key style of the less is often more school of performing. With what appears to be the full cooperation of the Andrews family, writer Rollyson brings more of a character study to life as opposed to an overview of Andrews’s acting credits and film productions he was involved in. This isn’t a kiss and tell styled bio but that of a man who was born into a religious family, his father being a preacher, who left the nest to pursue his dream of acting and surprisingly, singing. I had no idea Andrews fancied himself a singer. The fact that plenty of passages in the book are from Dana’s own hand through letters he wrote or a diary he kept only adds to getting to know the man past the obvious drinking stories and characters he played so well in Noir and western movies. Truthfully, I think I would have liked Dana had I known him. He seems to have been a man of integrity and loyalty towards those few in his inner circle. For those looking towards his romantic side, they might be surprised that he was really devoted to one woman most of his life. That being his wife Mary. Prior to their union, Dana was linked to his childhood sweetheart for many years and once again, I found it admirable that he never totally removed her from his life. He was also widowed as a young man with a son to raise before meeting Mary and establishing himself as an actor. The book does indeed cover the films and Dana’s union with producer Sam Goldwyn, his films with both Gene Tierney and Otto Preminger. Some films get more coverage than others and as for the final years of his on screen career, they’re mostly glossed over though I am happy to say The Curse of the Demon and Crack in the World get more than just a sentence or two. Yes, those are the ones you remember from your childhood more than say, Elephant Walk or Daisy Kenyon. You know, the ones Mom loved to watch him in. Like many actors of the past, I had no idea of just how much time Dana spent on stage before and after his prime years as a bankable Hollywood star. 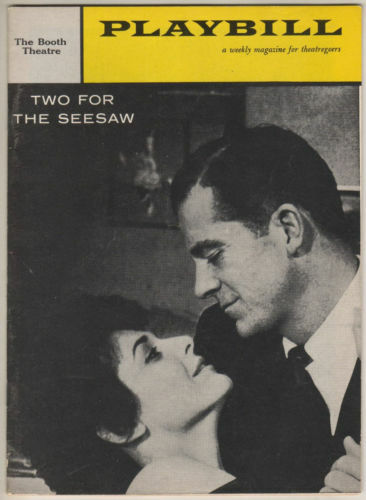 Dana portrayed the likes of George Washington before his film career took off with an appearance in 1940’s The Westerner to taking over for Ox-Bow Incident pal Henry Fonda in the late 50’s on stage in Two For the Seesaw opposite Anne Bancroft. He’d also do The Glass Menagerie and even play Oscar Madison in a later version of The Odd Couple. Far from the Hollywood rat race and swinging parties, Dana seemed to be a family man at heart who had that one major fault being the bottle. He’d battle that demon much of his adult life and later on speak publicly about his problem through a public service announcement. 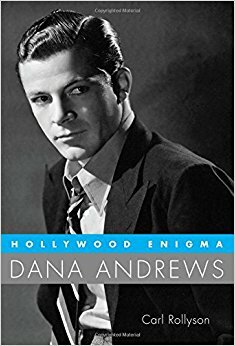 Informative and thanks to the amount of family input, this is well written window into just who Dana Andrews was in person. A nice volume to add to the shelf for film buffs and historians of Hollywood’s past. Now I might have to rewatch what is for me my favorite Andrews film. Yes it’s the 1946 classic, The Best Years of Our Lives. 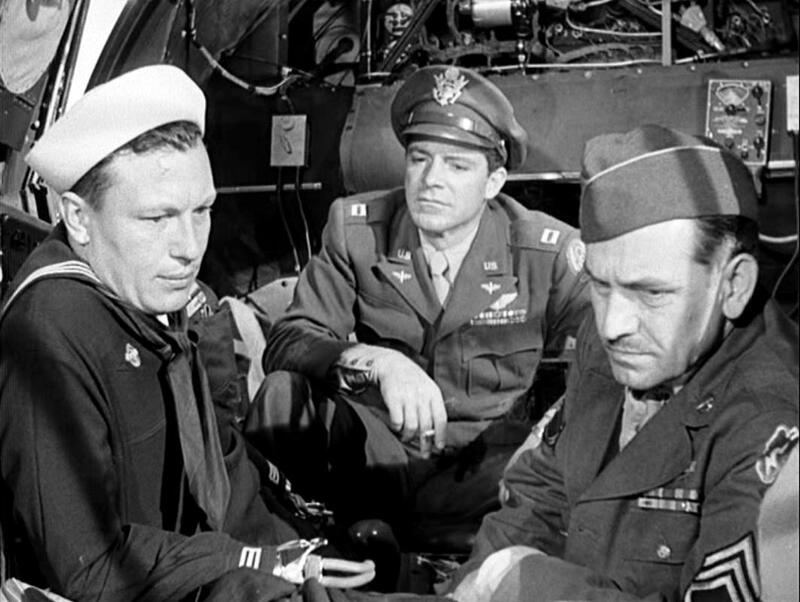 Fred March and Harold Russell got the Oscars but on this occasion, there really should have been three winners. Excluding television appearances, I’ve seen just 14 of Dana’s movies…not too good. My favorite of his would be ‘Laura’, with ‘Best Years of Our Lives’ and ‘The Ox-Bow Incident’ tied for second. My soft side under my Bronson like exterior leads me to pick Best Years as my favorite if forced to choose. Laura right up there but also a big fan of Curse of the Demon.